At Mary Esther UMC, we offer a variety of worship styles, including contemporary and traditional services. The length of the service is usually kept within one hour to accommodate other church activities of education and fellowship on Sunday. At Mary Esther UMC you’ll see blue jeans and three-piece suits alike. Be sure to bring the kids. Nursery services are provided during worship. In the spring of 1965, the Alabama-West Florida Conference of the Methodist Church recognized the need for a new church in the community of Mary Esther. The conference appointed the Reverend Jack Taylor to organize this effort. On August 3, 1965, Reverend Taylor met at the home of Dorothy and Kermit Laws with a group of concerned and dedicated people to discuss forming the Mary Esther area Methodist Church. Those in attendance elected the first officers of the church: Carol Livingston, secretary; Kermit Laws, treasurer; and Ray Tumlin, Sunday School Superintendent. 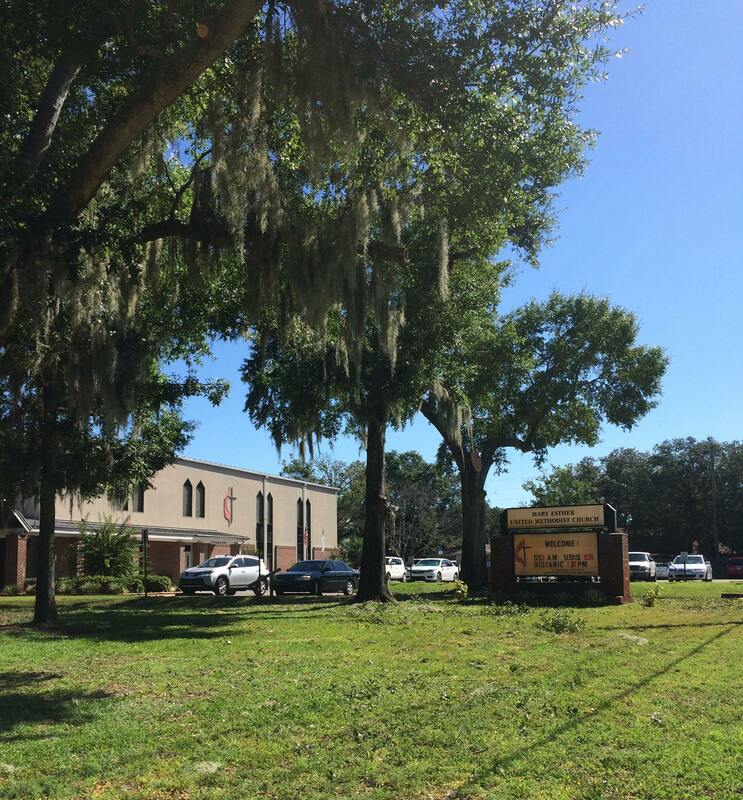 Within two weeks of this organizational meeting the first service was held at the Annette P. Edwins Elementary School. Thirty-two persons signed as members on Charter Sunday, October 31, 1965. The church continued to meet at Edwins Elementary until 1966. Then, the congregation worshiped in the newly built Mary Esther Elementary School thus fulfilling the annual conference’s vision for a Methodist church in the community of Mary Esther. In March 1966 the church acquired four acres along Highway 98 to build a permanent church building. After plans were drawn, the Methodist Board of Missions loaned the church $55,000 to build a new church, which began in the fall of 1966. In July 1967, the congregation of 80 moved into the completed church building. The original structure consisted of eight classrooms, a kitchen, and a fellowship hall that also served as the sanctuary. In six short years the church was overcrowded. So, in 1973, church leadership burned the first mortgage and secured a second loan for $134,715 for offices, a new sanctuary, a choir room, and three classrooms. The church focused on meeting the needs of its diverse community – military, tourists, and snowbirds – as well as serving families with activities such as the men’s barbeque, Easter eggs hunts, fall festivals, camping trips, and retreats to Blue Lake. The church paid off the 1973 mortgage ahead of schedule and continued to grow steadily. Members focused on the needs of the youngest members of the church in their vision for growth. Accordingly, they drew a plan to build a 5,000 square foot education and youth building with five classrooms, a nursery, and an expanded kitchen area. By selling 5-, 10-, and 15-year bonds to members and interested friends of the church, members self-financed the $322,572 cost. The bonds were all redeemed on time. The youth building was named in honor of Mary Esther member and loyal benefactor, Sybil Smith Lebherz. As the church continued to grow, so did its ministries at home and abroad. Disciple Bible studies, fellowship groups, support of Sharing and Caring, delivering Thanksgiving and Christmas baskets to the needs, sponsoring a Cub Scout and Boy Scout Pack, and taking part in mission trips to Mexico and Russia, strengthened the congregation. The church began to participate in the Emmaus Walk, a spiritual renewal and retreat designed to bring pilgrims closer to Christ and develop church leadership. From the mid-1990s, the church held 8:30 a.m. worship services, Wednesday evening fellowship dinners and Bible studies. 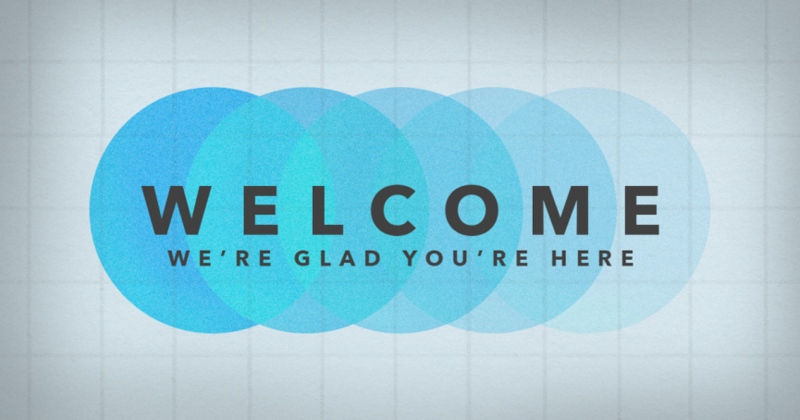 The church added to its staff a full-time youth director, part-time children’s director, and a church administrator. This enabled the former music minister/youth directory to concentrate solely on the music ministries of the church who then expanded the music ministry with a children’s choir, youth choir, and an adult handbell choir. Many lay persons in the church participated in short-term missions once an annual mission’s conference was begun; prayer and accountability groups began; and a 24-hour prayer vigil for the church and its congregation was inaugurated. In 1995 the largest capital funds campaign in the history of the church was undertaken providing the funds for building a new kitchen, large fellowship hall, offices, and classrooms. The new fellowship hall and kitchen enable the entire congregation to come together in one place for many events – Women’s Conferences, the Jingle Bell Craft Fair, and the Vacation Bible Experience. Today the Mary Esther congregation strives to serve the needs of the surrounding community. 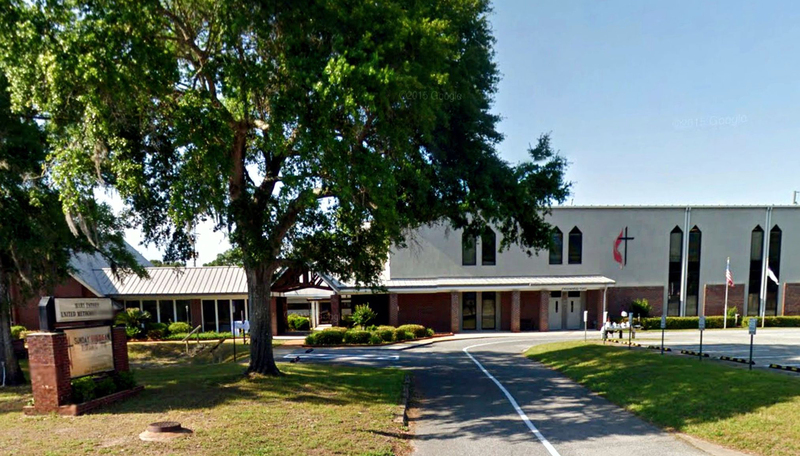 When asked about their impressions of Mary Esther UMC, visitors overwhelmingly remark on the kindness, friendliness, and warmth Mary Esther members share with newcomers and one another. The way the congregation reaches out and literally embraces (the Mary Esther “handshake” is more than not, a hug) its members and visitors demonstrates the love of Christ. As the church looks to the future, it remains committed to serving the Mary Esther community and sharing the love of Christ in all its endeavors.